The death of former President George H.W. 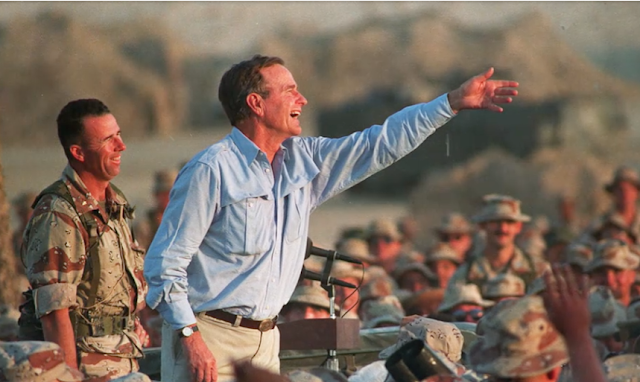 Bush drew an immediate outpouring of condolences from around the country and the world. From former presidents to representatives and business leaders, the praise was overwhelming for the 41st president. His son, the 43rd president, sent an immediate statement on behalf of George H.W. Bush's children. "Jeb, Neil, Marvin, Doro, and I are saddened to announce that after 94 remarkable years, our dear dad has died. George H.W. Bush was a man of the highest character and the best dad a son or daughter could ask for. The entire Bush family is deeply grateful for 41’s life and love, for the compassion of those who have cared and prayed for dad and for the condolences of our friends and fellow citizens."